The soft shape of the Pigalle table lamp from Heathfield & Co mixes textured detailing and finishes. Handcrafted, multiple layers of glass combine with volcanic frits in gold or silver. The varying layers with the mirrored fragments create a luxurious textured finish. Owing to the nature of the mixed materials and manufacturing process, every piece is completely individual. The Pigalle lamp is available in a variety of colours with options available for all interior schemes. 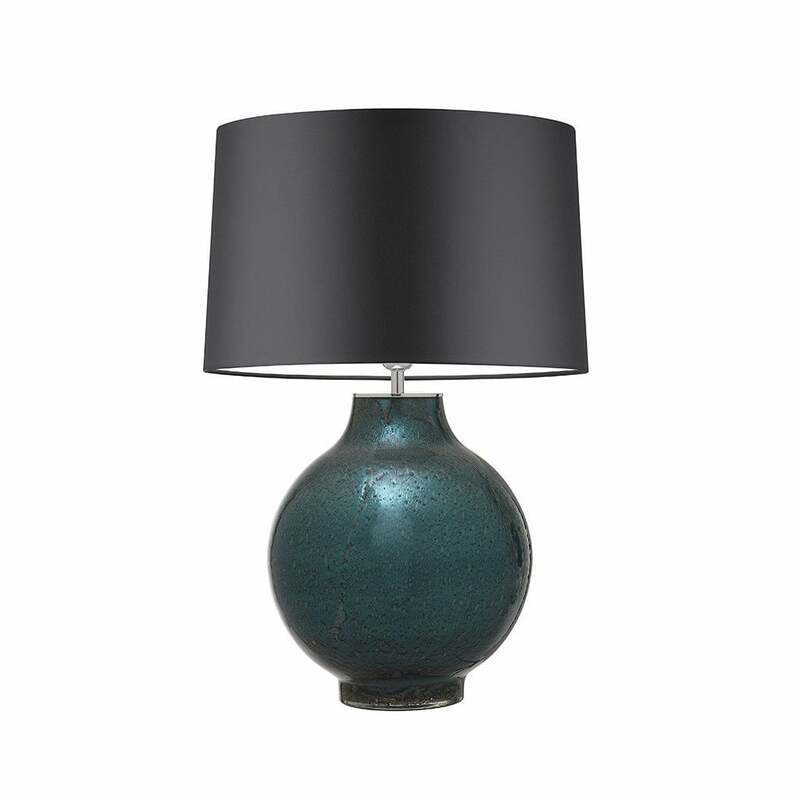 Add the Ocean Pigalle lamp with a carbonne satin shade for a deep and dramatic effect. For something more rustic, the chartreuse base with complementary mocha satin shade has a natural effect. Style the smoke base with a gilt satin shade for the ultimate luxurious look.